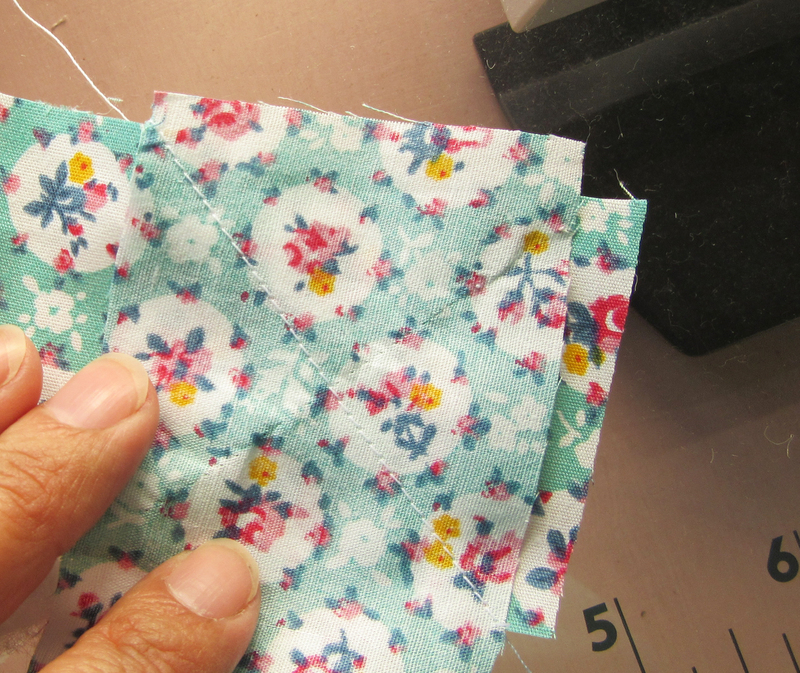 Your kit contains 10 fabrics, pre-cut into 3 different sizes. You will decide which fabrics should be labelled A-E (12 patches each) and F-G (8 patches each). Medium sized patches I (4 patches) and H (5 patches) should be easy to spot and Fabric J is the focus fabric of your quilt. You will end up with 4 spare small patches. Pages 2/3 :: You may like to fill in the Fabric Key & Quilt Grid or simply label your fabrics with sticky notes and follow the Design Grid on Page 1. 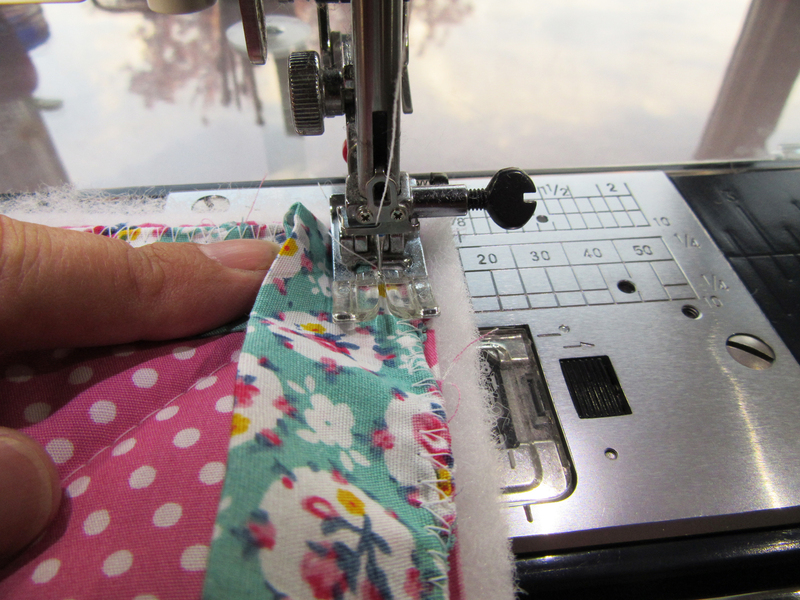 When stitching, all patches should be laid together with right-sides facing and stitched with a seam allowance that is the distance from the needle to the edge of the foot of your sewing machine. 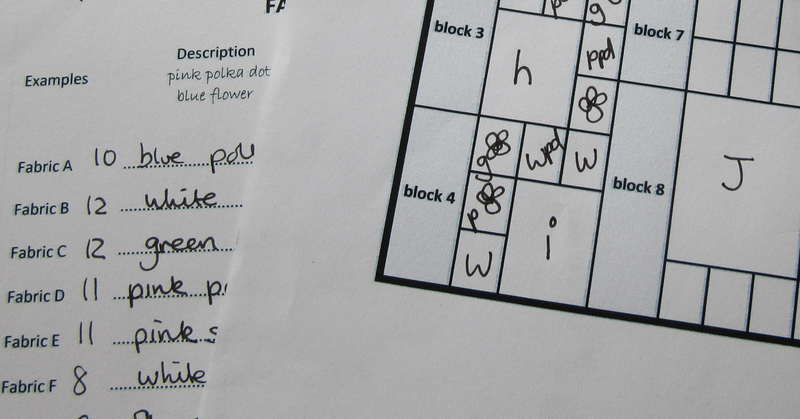 Don’t give up – patchwork often seems not to match up correctly. That’s because it’s fabric and fabric stretches and moves about. 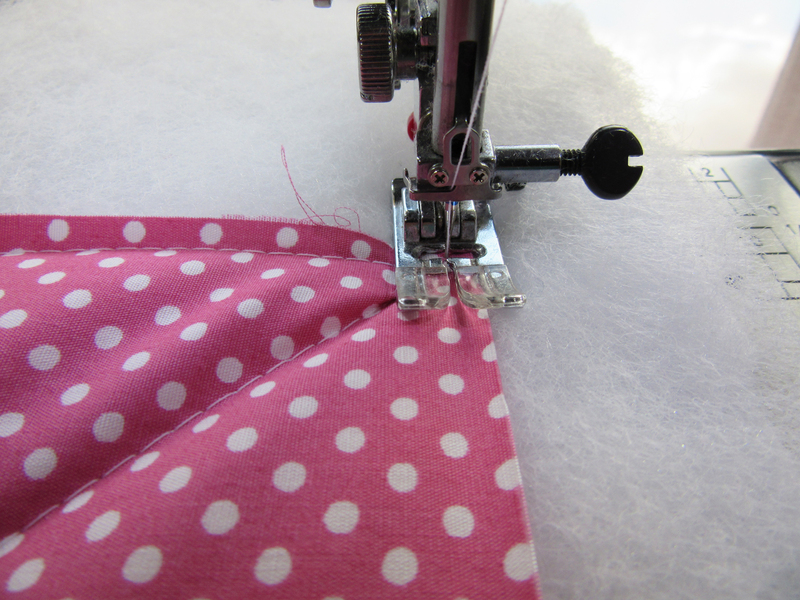 Trim minor wonky seams or leave them as you stitch them into the next seam. 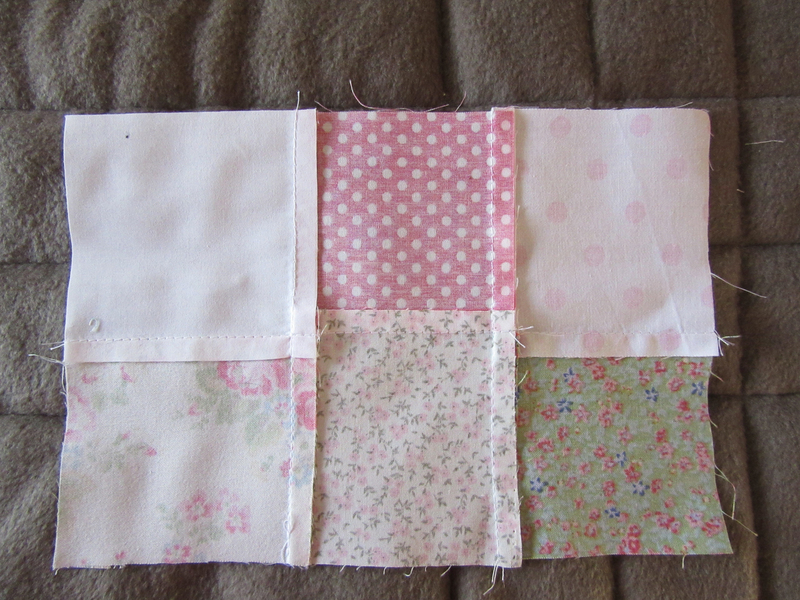 Stitch the border to the SIDES of your patchwork first, then add the top and bottom borders. It’s easier, when stitching the border to place the patchwork face down on top of the border strip (right sides together) and then stitch. 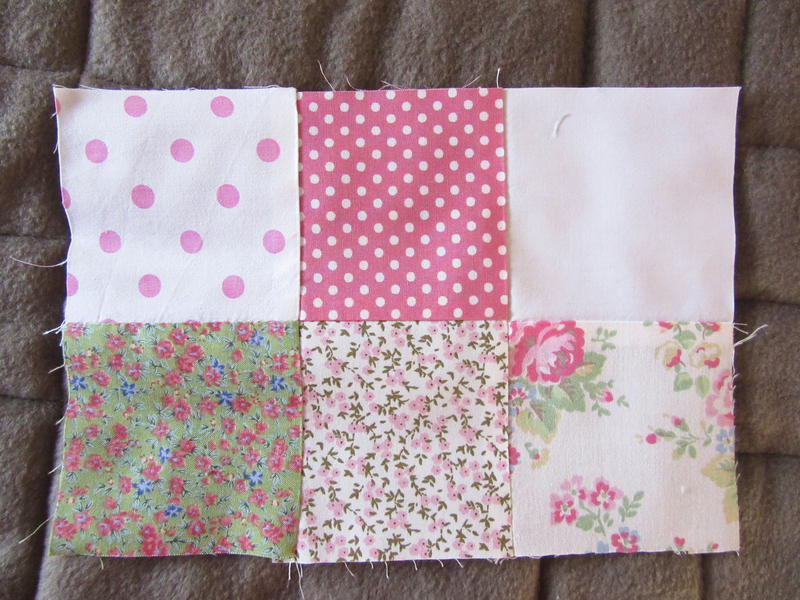 This means that you can see the patchwork seams and check that they’re lying as flat as possible as you stitch. You will need to decide and source your own backing fabric and wadding. 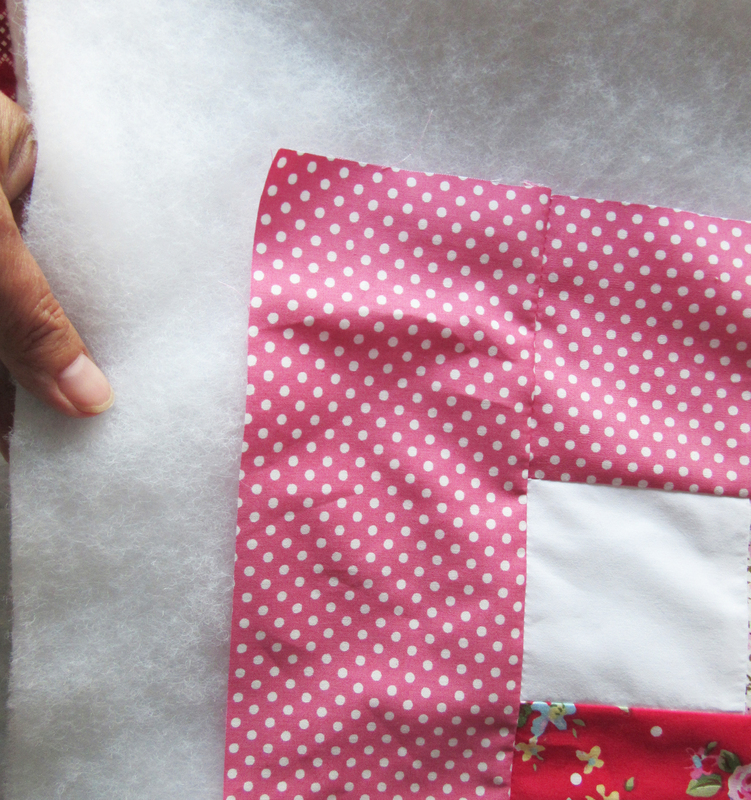 Backing and wadding should be approximately 6″ larger than your patchwork so you can leave a border all the way around the patchwork. 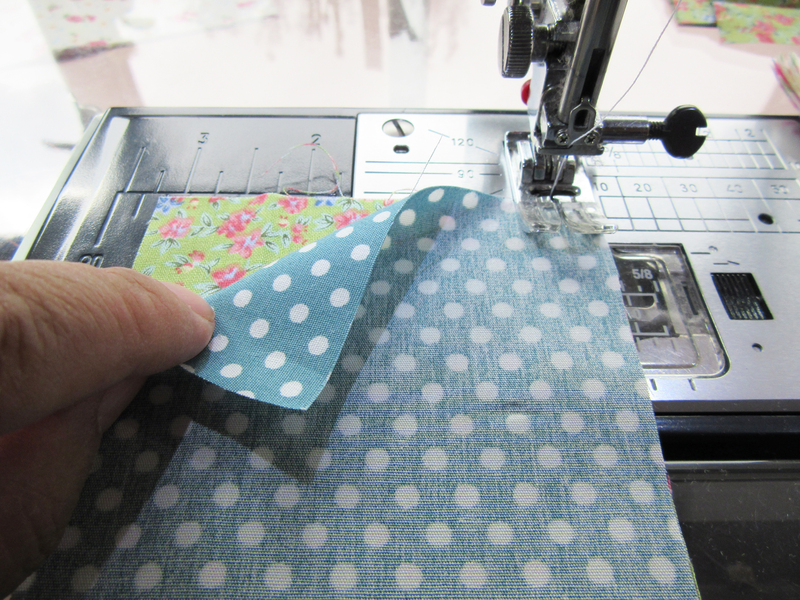 I recommend a lightweight wadding as it’s more difficult to quilt with a thick wadding. 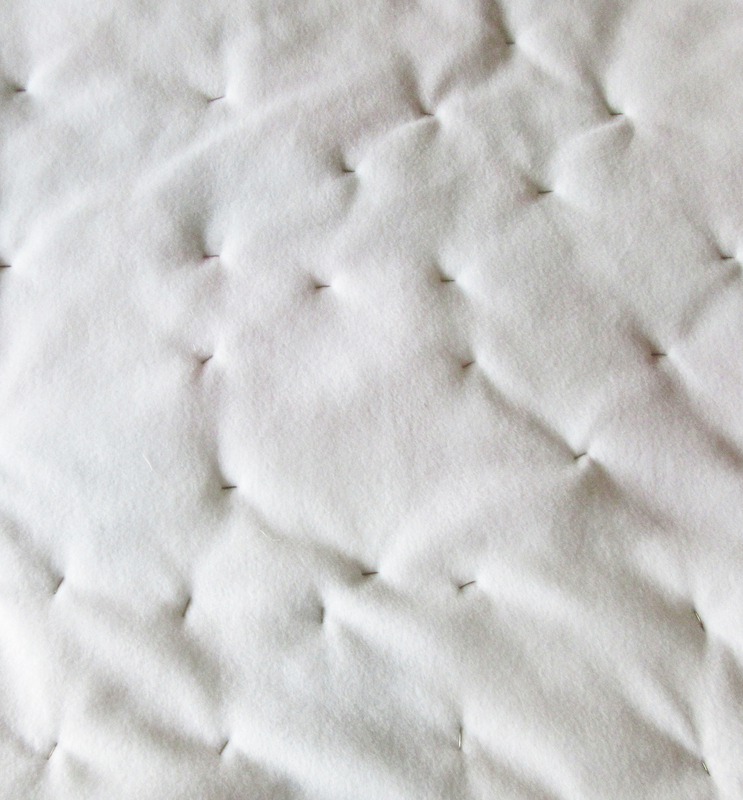 Backing fabrics are your choice – choose cotton for a lightweight quilt, fleece or flannelette for a snuggly one, or maybe a vintage piece for added character. 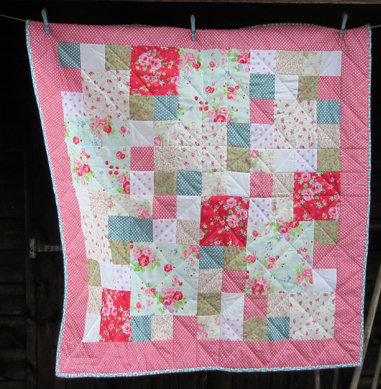 A quilt sandwich consists of backing fabric (right side down), wadding in the middle and patchwork on top (right side up). 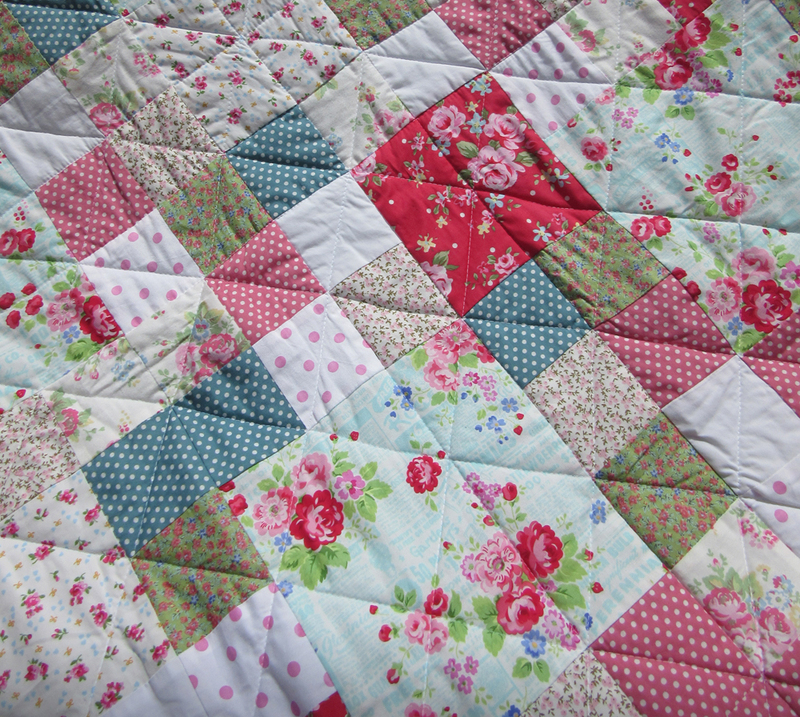 DO NOT TRIM the backing and wadding to fit the patchwork. Smooth out all the layers carefully so it’s as flat and crease free as possible. 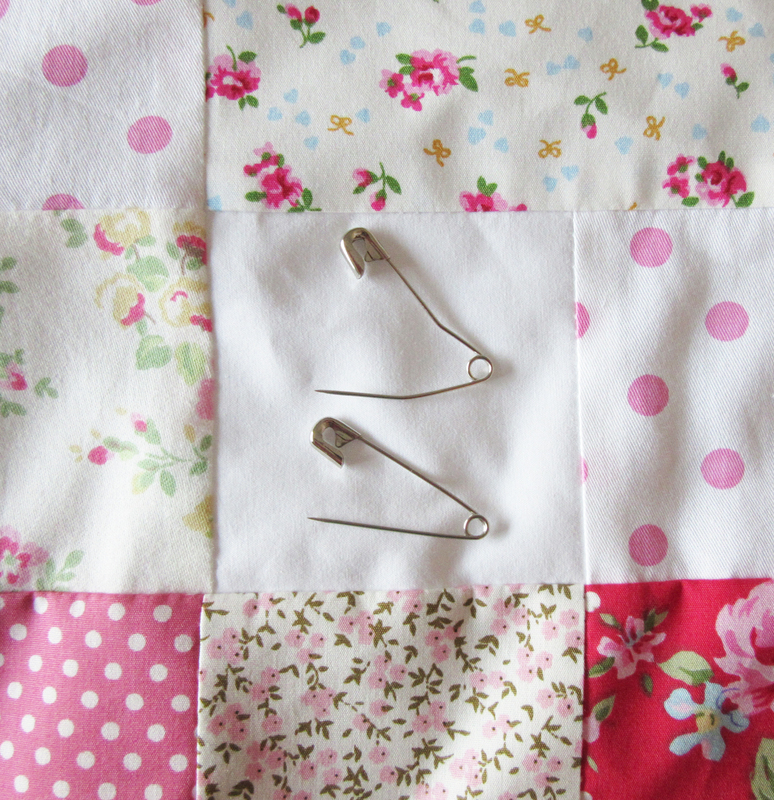 Quilting safety pins are curved, but it’s fine to use straight ones. 1.5″ safety pins are ideal. Some may prefer to use a quilt spray to secure the layers together. Start in the middle, work around the quilt smoothing the layers towards the outside all the time. Pin every 4-6″ – you’ll need a lot of pins! 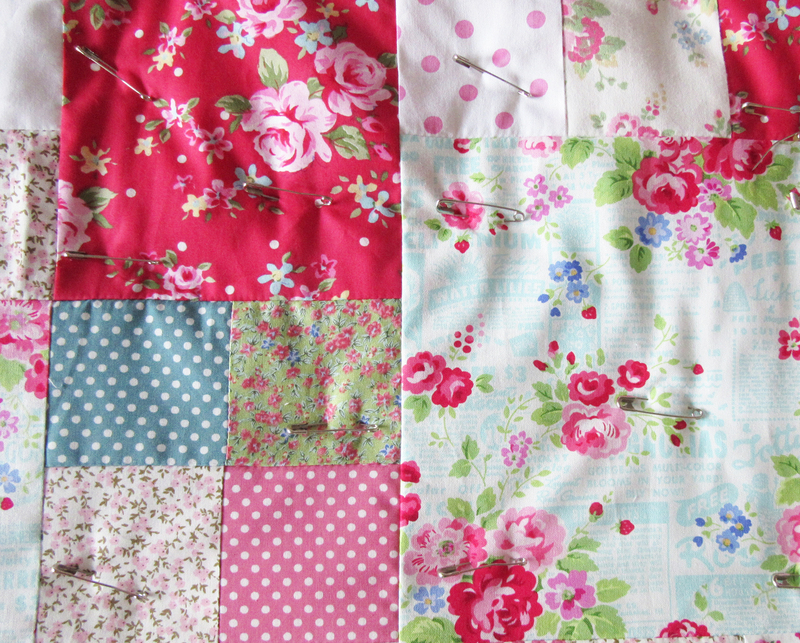 The back of a pinned quilt sandwich showing all those pins! Quilt sandwich all pinned and with the excess wadding and backing fabric still untrimmed. 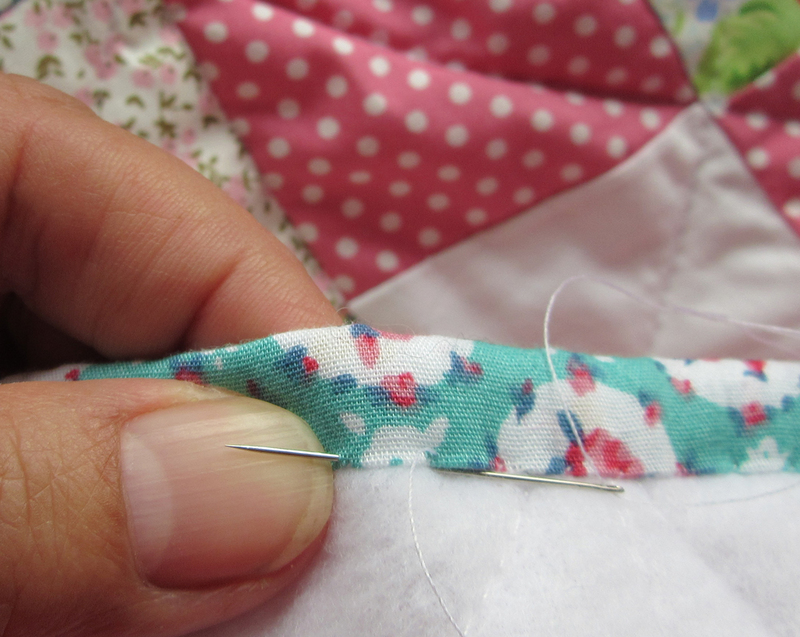 When pinned you can pick up your quilt, it will be quite safe and won’t fall apart! Read the instruction booklet carefully, there’s lots of information and useful tips. 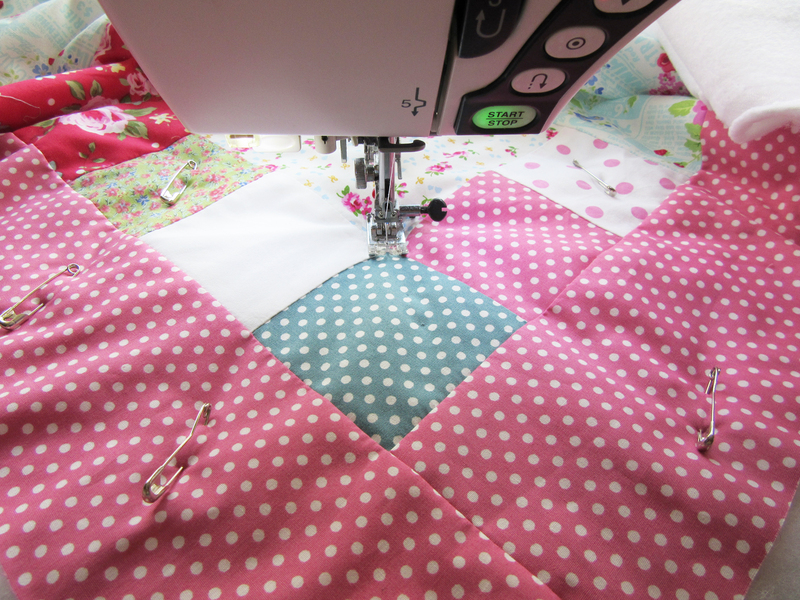 I recommend Diagonal Quilting Lines if you’re using a sewing machine as the patchwork will ‘give’ a little to accommodate the quilting lines. 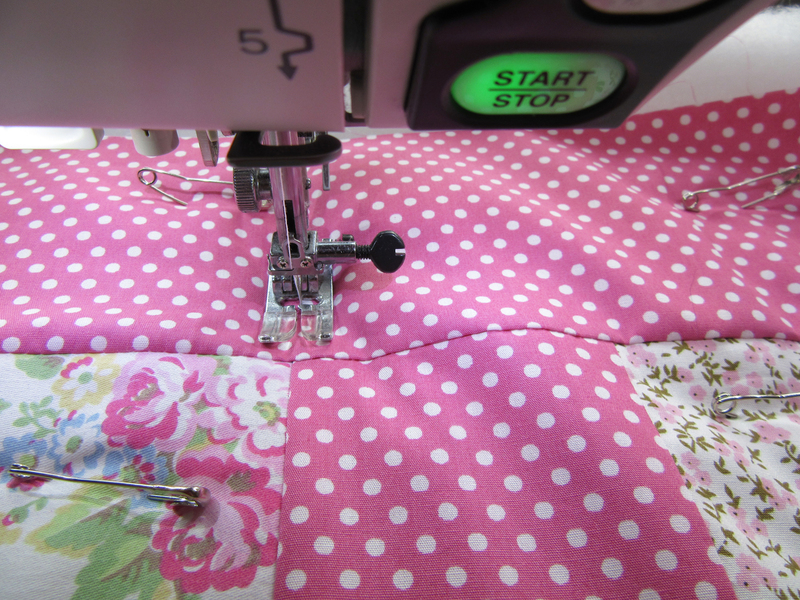 Quilting ‘In the Ditch’ looks easy but it’s quite an art to get the quilting lines straight and pucker-free, if you’re using a sewing machine. 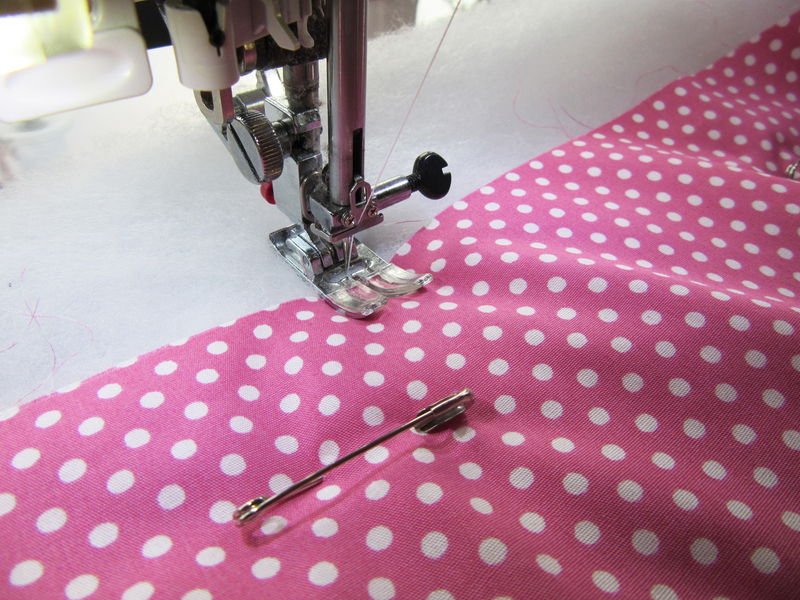 Smooth the corner before you start quilting and remove safety pins that are in the way, as you go. 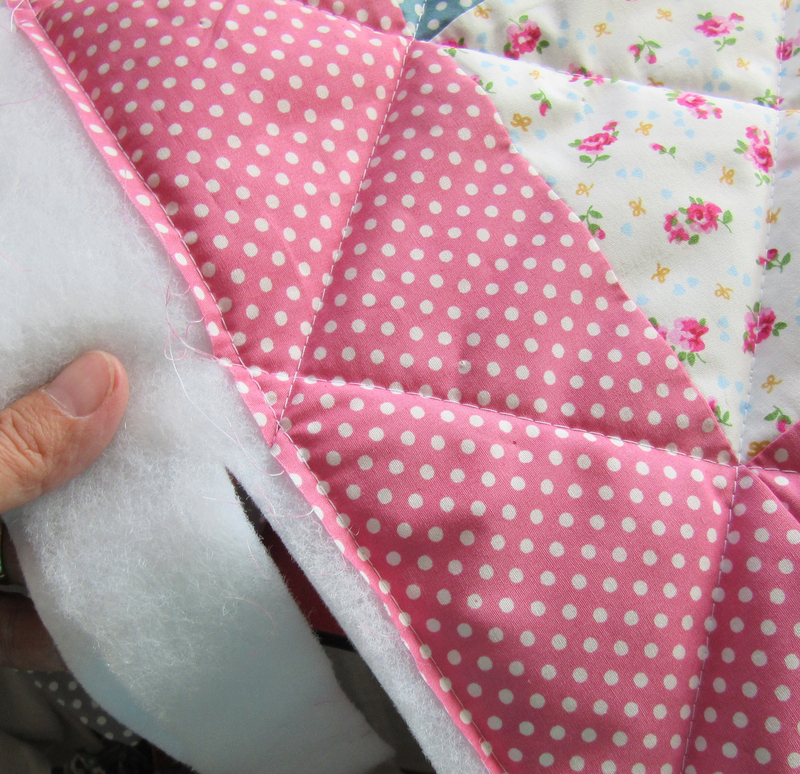 Follow the corners of the patches from one corner to the other side of your quilt. 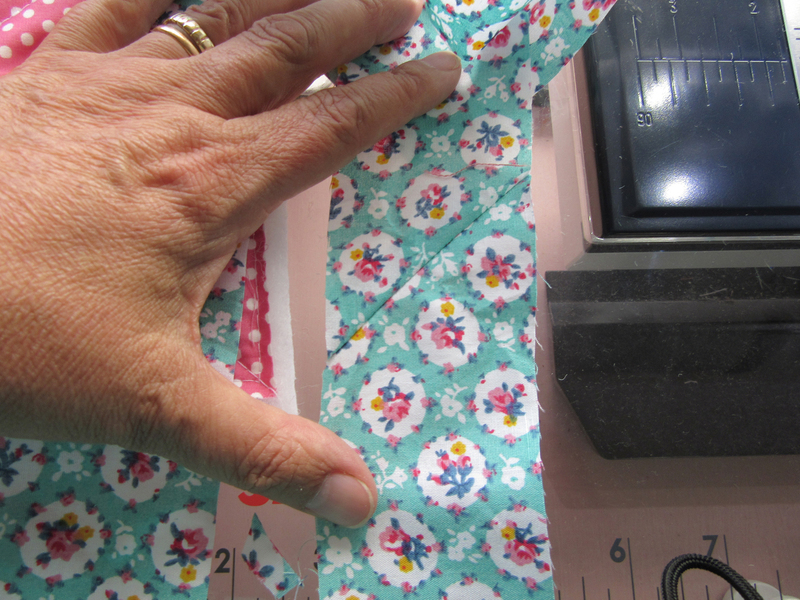 Quilting lines should be approximately 4″ apart – follow the corners of the patches. Quilt one final line very close to the edge of your patchwork quilt top, all the way around the edges. 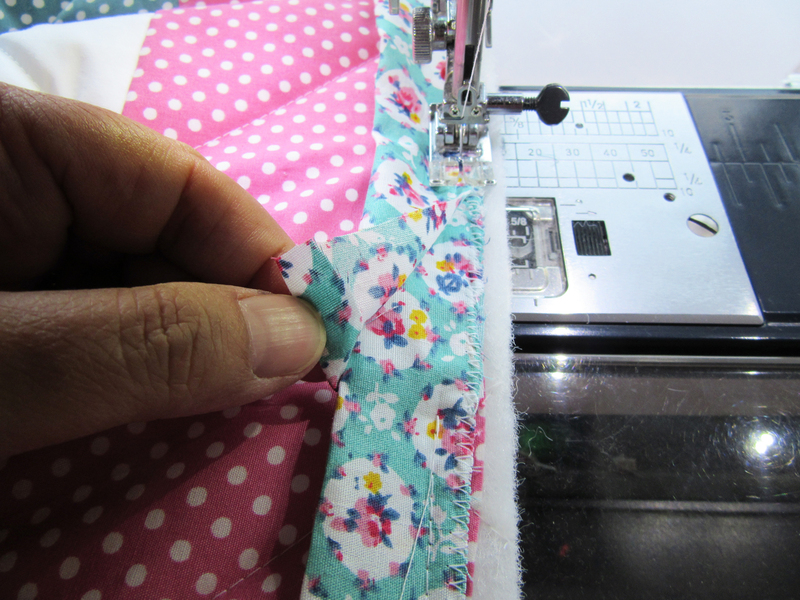 This line will give you a guide when adding the binding. 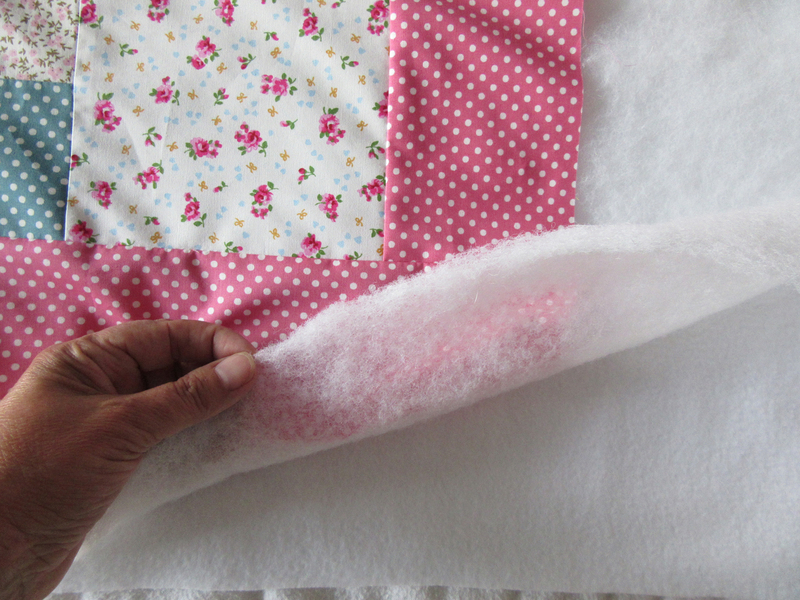 Trim your quilt, not too close to the edge – leave about 1/4″ of wadding and backing fabric so the binding has something to fold over. 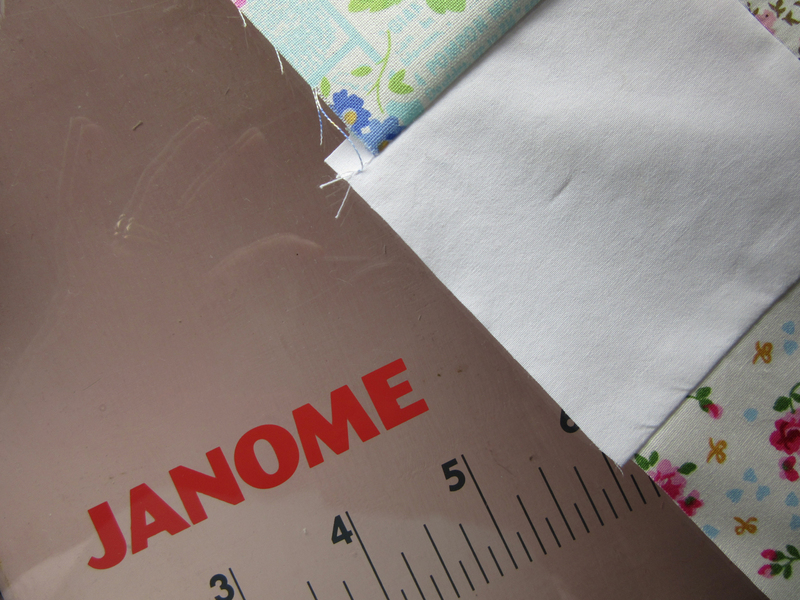 Trim off the selvedge edges of the binding strips and sew them all together using a diagonal seam. Do pin them first to make sure they’re going to line up correctly, if you need to. Fold the long binding strip in half lengthways (so it’s half as wide) and press. You may choose to zig-zag or stitch the edges together with a straight stitch but leave about 10″ free at the end, unstitched as you’ll need to lay the ‘tail’ inside this. 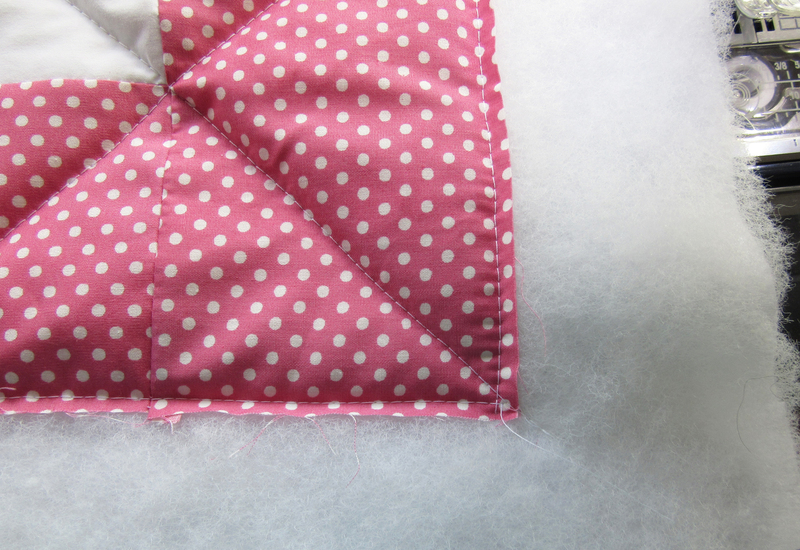 Start in the middle of a side of your quilt and place the binding on top with all the raw edges together. Leave a ‘tail’ – a few inches at the beginning unstitched so you can make a very neat join when you’ve stitched all the way around. When the binding is folded over, you shouldn’t be able to see the final line of quilting that you made all around the quilt. Do check this after a few inches. When you get to a corner, pinch up the binding so the edges are neat. Stitch to within the seam allowance of the edge of the quilt. Fasten off your thread. 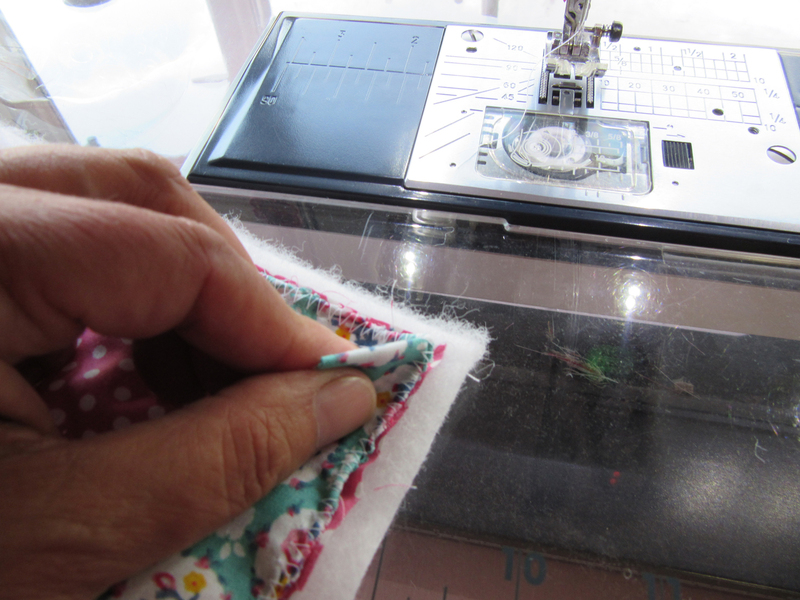 Turn the corner and start stitching again at the seam allowance. 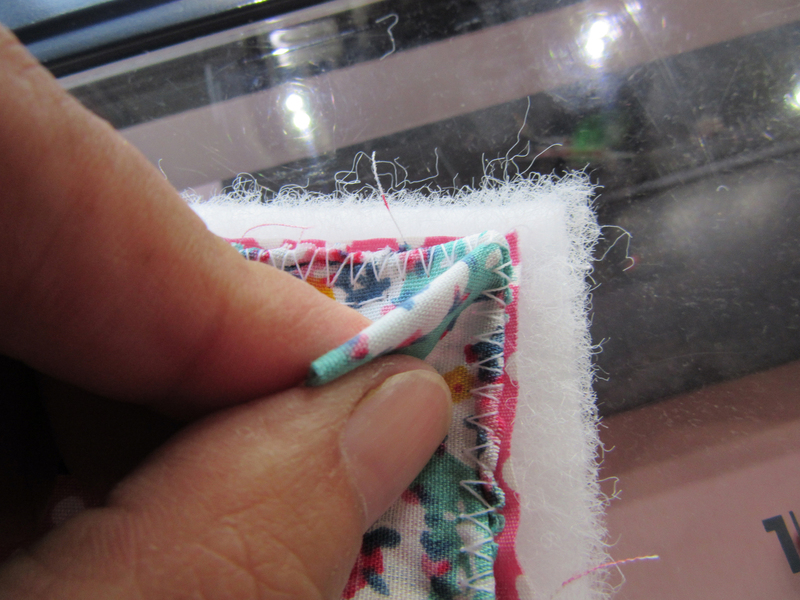 When you’ve stitched all the way around, place the ‘tail’ at the beginning inside the binding. You’ll need to unpick any zig-zag here if you stitched the edges of the binding together. 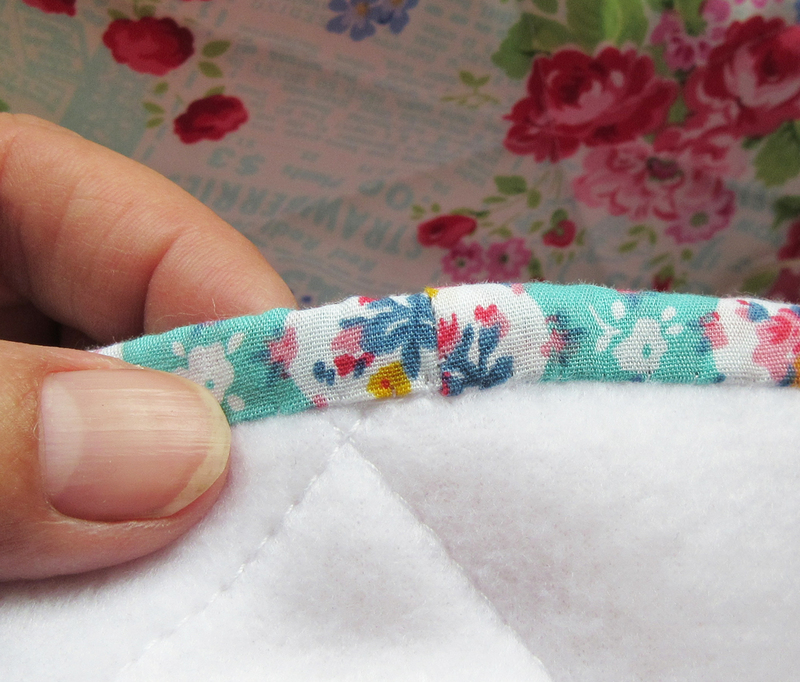 Trim away any excess and fold the raw edges of the OUTSIDE binding so that it can be neatly slip stitched in place when you’re finishing your quilt. 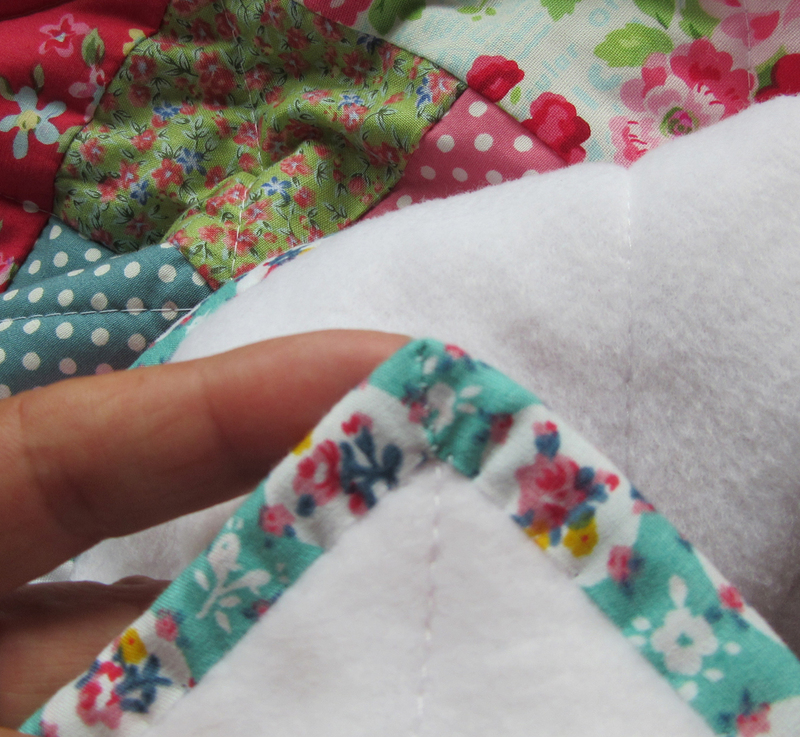 Choose a thread the colour of your binding fabric and start in the middle of one of the sides of your quilt. Fold the binding over, fasten your thread and slipstitch the binding to the backing fabric by running your needle along inside the backing fabric. Just pop it out to catch the binding. Take care your stitches don’t go through to the front of the quilt. 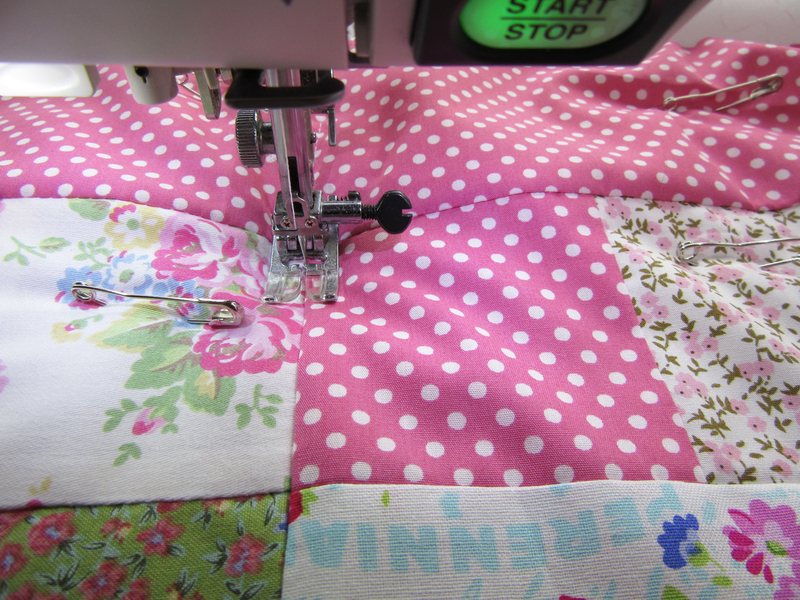 Take your time – hand-stitching should be an absolute pleasure, when you relax and hold your quilt before the final moment when it’s finished. 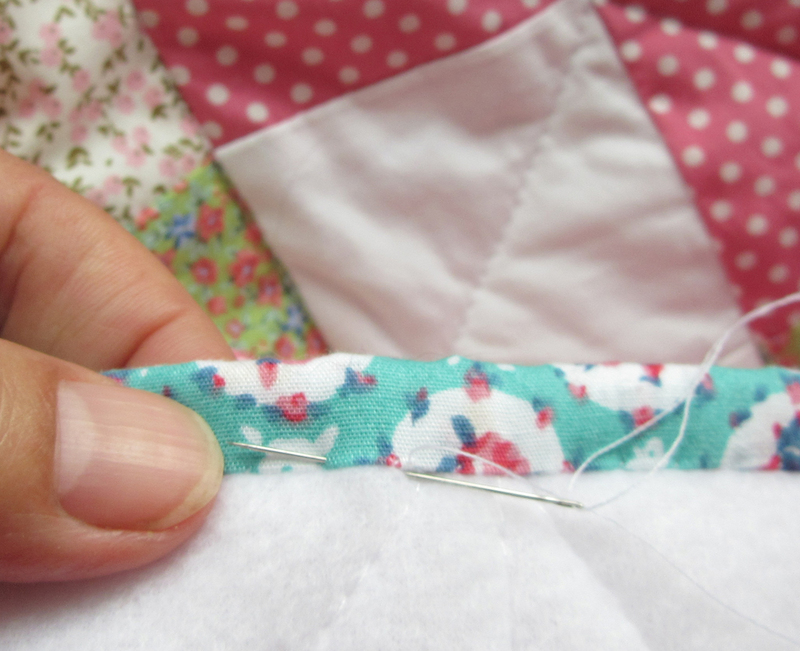 TIP: choose a short needle, it’s impossible to make large stitches! Replace the needle just under where it appears out through the binding. Check your stitch isn’t visible from the right side of the patchwork. Mitre the corners by folding them over neatly and slipstitch the folds in place front and back. 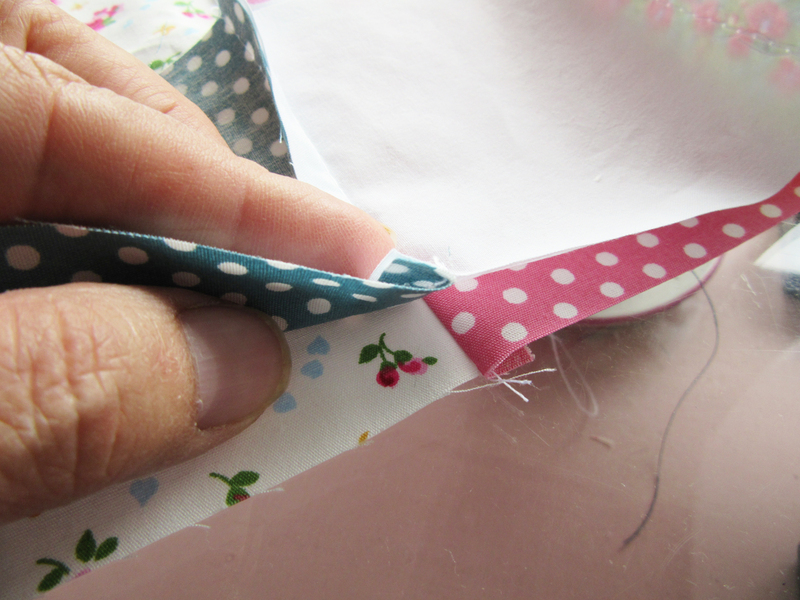 Slipstitch the binding seam – where you overlapped and folded the binding over the ‘tail’ at the beginning. 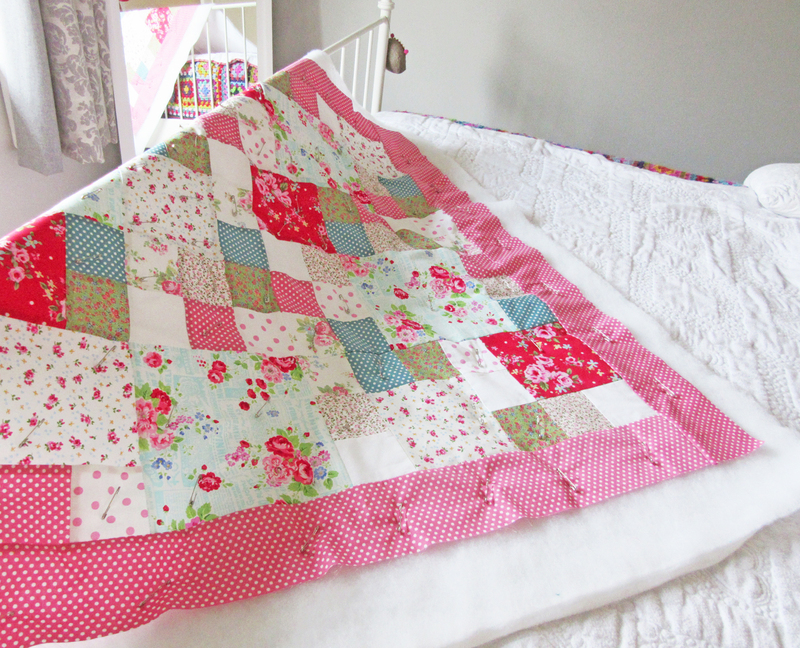 Ta-Dah – you’ve made a quilt! Snuggle up! 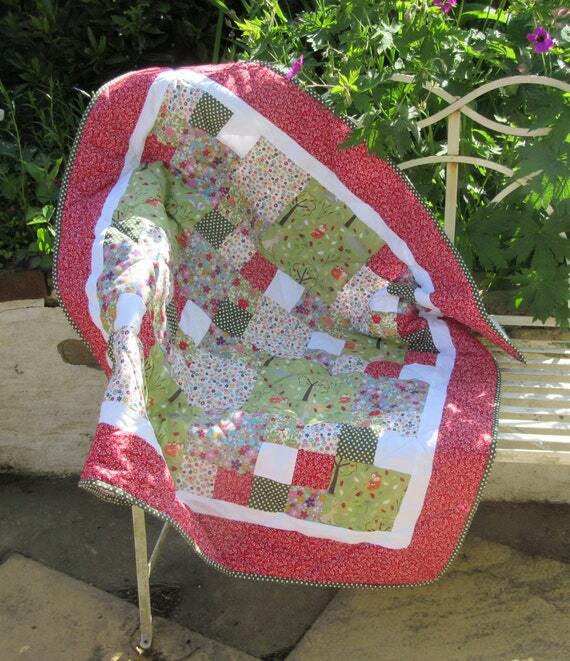 Photo taken on an Autumn day in a gale of wind, with quilt blowing about on the verandah! I hope you’ve enjoyed making your quilt. Do leave a comment and let me know how you’ve got on. 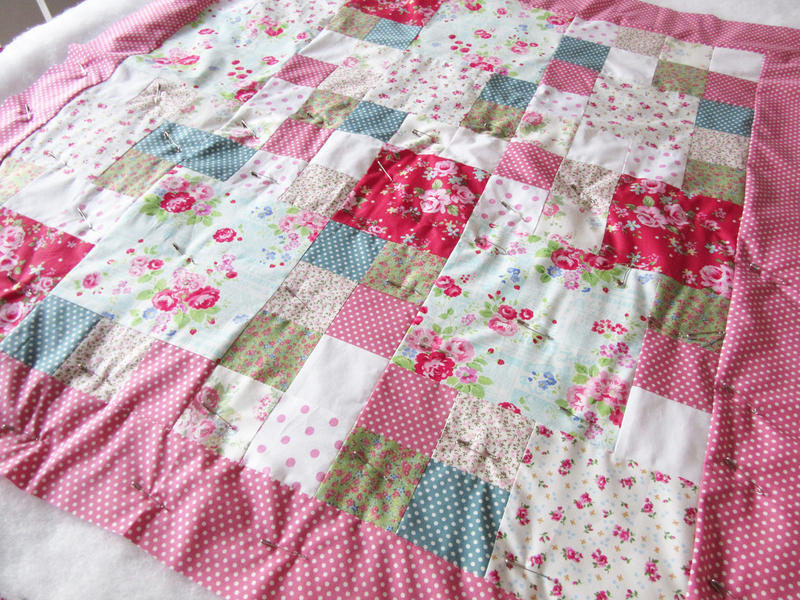 Contact me by email :: shop@adaliza.co.uk if you’d like to buy a Quilt Kit. Kits may be commissioned if you’d like a particular theme or colourway.